More than three times as many American adults have been diagnosed with Crohn’s disease or ulcerative colitis than was believed, a new analysis has found. The diseases, both classified as types of inflammatory bowel disease, or IBD, contribute to a diminished quality of life and costly medical complications, said analysts at the U.S. Centers for Disease Control and Prevention. Investigators reviewed data from the 2015 National Health Interview Survey and found that an estimated 3.1 million U.S. adults, or about 1.3 percent of all U.S. adults, had been diagnosed at some point with IBD. Another recent study found links between Crohn’s disease and an increased risk for thyroid cancer. Crohn’s disease and ulcerative colitis are both chronic inflammatory conditions of the gastrointestinal tract. Ulcerative colitis affects only the colon; Crohn’s may affect any part of the GI tract, from the mouth down. Health care providers often treat the symptoms of the diseases with medication, but most Crohn’s sufferers will eventually require surgery, according to the CDC. Talk to your health care provider if you have symptoms like these. 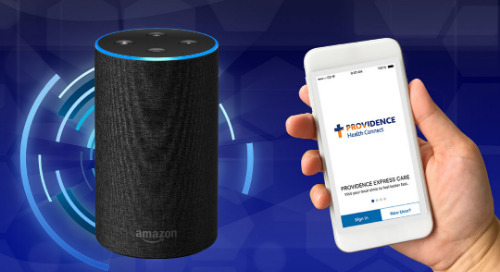 Check our directory for a Providence provider near you. You may be interested to read the Crohn’s & Colitis Foundation’s resources for managing the diseases. The online tools help you track symptoms, take steps to improve your quality of life and share your experiences. The statistics about the prevalence of inflammatory bowel disease, “Prevalence of Inflammatory Bowel Disease Among Adults Aged ≥18 Years — United States, 2015,” were reported in the CDC’s Morbidity and Mortality Weekly Report this fall. The study linking Crohn’s disease and thyroid cancer was published in the journal Inflammatory Bowel Diseases, the journal of the Crohn’s & Colitis Foundation of America Inc.